Cannabiniers - a beverage, technology & brand management venture that in 2018 released the world's first cannabis-infused, non-alcoholic beer - took over Helm's Brewing Company well over a year ago, but next month the company will fully rebrand the 7-year-old San Diego brewery to transform it into Two Roots Brewing. 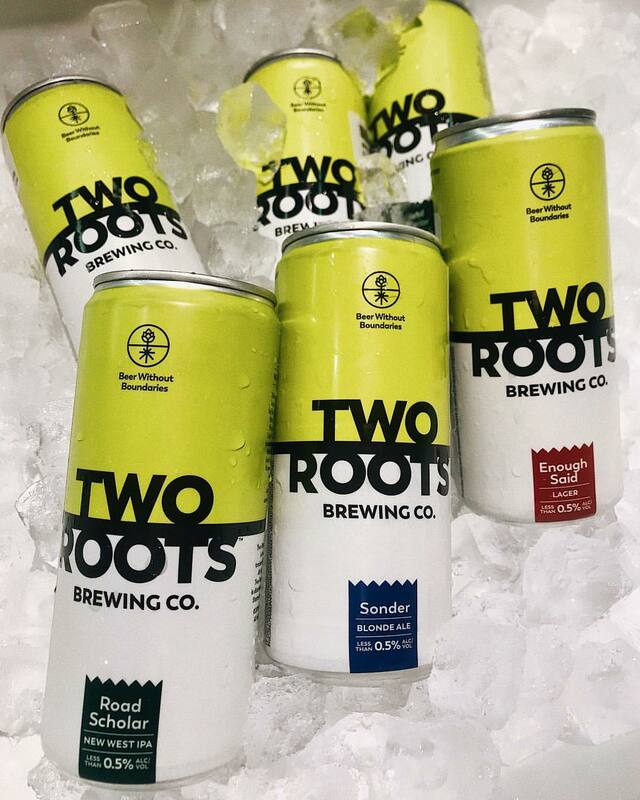 "Two Roots Brewing is actually part of Cannabiniers, which is a local cannabis brand management company here in San Diego," explained Cannabiniers Brand Management Vice President Kevin Love. "Cannabiniers acquired Helms during Oct of 2017. Through that, we successfully developed and launched the worlds first cannabis infused non-alcoholic beer in Nevada during August 2018 and have just recently launched in the California market. Now that we are in the CA market we will be converting all of our Helms assets to Two Roots including our tasting room in OB. The goal is to open additional tasting rooms under the Two Roots brand that can act as experiential platforms for both our traditional and non-traditional product offerings." Founded by an avid homebrewer and shipbuilder, Helm’s Brewing opened its doors in 2012 with head brewer Brian Mitchell, who eventually went on to open his own project Pariah Brewing Company. Helm's opened a satellite tasting room in Ocean Beach in 2016. In September 2017, Helm's announced that it was entertaining purchase offers. Since purchasing Helm's in fall 2017, Cannabiniers has shut down the tasting room at the main brewery and continued to operate as Helm's, while maintaining brewing operations for both Helm's and Two Roots. Company representatives indicated rebranding the Ocean Beach tasting room was not a priority, but they would be moving forward with the name and concept change this April. This spring, Two Roots Brewing aims to release CBD and THC-infused beverages in San Diego (THC versions will only be sold in state and local licensed “legal” dispensaries., stating that about 200,000 units are currently in the process of being labeled. The company also aims to release cannabis-infused cold-brewed iced coffees and teas under its Just Society brand. In order to create its new class of adult beverage, Cannabiniers imported European "de-alcoholizing" equipment necessary to create Two Roots Brewing Co., which produces five style-emulation brews including lager, stout, new West IPA, blonde ale, and wheat - with a "Tribute" style that tastes like cannabis to immediately follow - all of which are under 100 calories per serving. Two Roots Brewing will open in April at 4896 Newport Avenue in San Diego's Ocean Beach. For more information, visit tworootsbrewing.com.